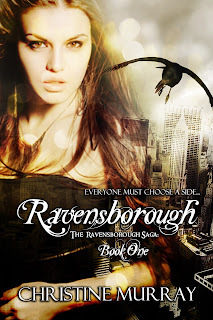 Plot: First, here is the summary of "Ravensborough" from Amazon - Scarlett has made a leap of faith, moving with her mother to the city of Ravensborough on the island of Avalonia. But life is complicated on an island divided between Pagans who believe in magic and the ‘Rationalists’ who control most of the country. Living with her mother’s Rationalist boyfriend, and going to a Rationalist school, Scarlett finds herself torn: between her new Rationalist friends and her Pagan ones, between her loyalty to her mother and her conscience, and between her boyfriend back home and a Pagan outcast named Gethan. When she scratches below the surface of life in Avalonia, she finds darkness and danger that terrifies her – but still draws her in. 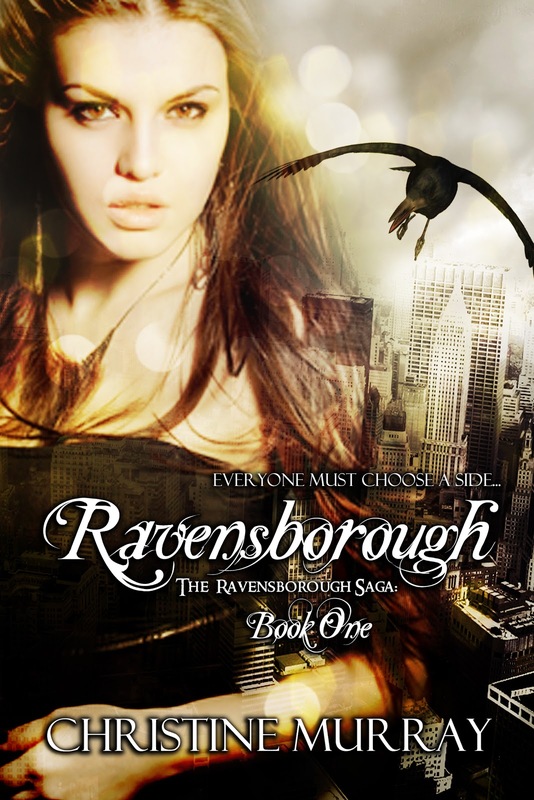 Ravensborough tells the story of a society and a young woman divided, with echoes of real life conflict and the challenges everyone faces as they become adults. To forge her own life in Ravensborough, Scarlett will need to find more strength in herself than she ever imagined. Scarlett is torn, forced to make a decision she doesn't want to make. She decides to move with her mother to Avalonia, a country rich with history and a past which defines itself in curfews and prejudice. 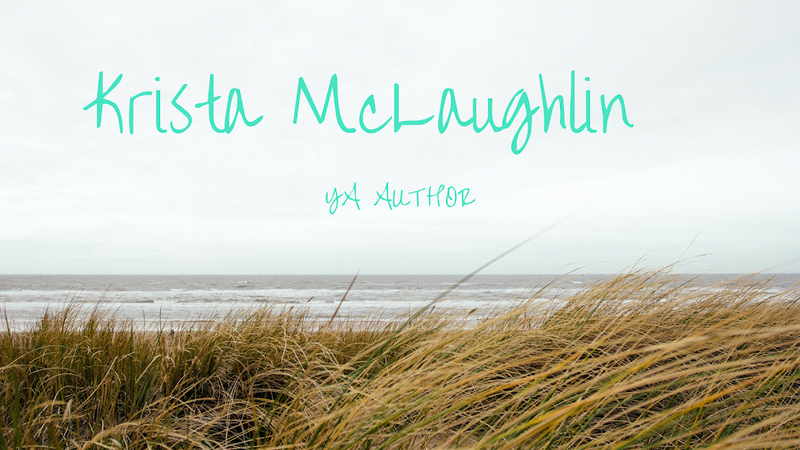 It was hard enough trying to live in a new country without the mysterious boy, Gethan and her newly-discovered almost cousin-in-law Aradia entering her life. She begins to question everything about the world she knows and the world which seems to call to her. Scarlett has to make a decision, but it isn't one she can make lightly. Romantic Element: The relationship between Gethan and Scarlett is breath-taking and passionate! I love the tension between the two characters, also the love triangle with Sam, Scarlett's boyfriend. It isn't one of those fake love triangles; it feels real. I've definitely a book-crush on Gethan. He's pretty awesome. :) The relationship has a mix of forbidden affection and chemistry. It's so very well written! No one really compares to Gethan, which I guess gives away that Sam isn't one of my favorite characters. He's a bit of a tool. Overall: Ravensborough is enthralling! It only took me two days to read the entire book, leaving me with a strong desire to read more! I was disappointed when I reached the end. I need to know more about these characters. Murray wrote a wonderful book, based in our world with a fantasy twist and a dash of romance. The rich descriptions of the places were beautiful, not too much with just the right amount of description. The reader gets a clear sense of the society in Avalonia and is gently immersed in the new ways. The character development was great; all of the characters had something to give and take. I loved the little twist towards the end! I didn't see it coming and those are the best kind of twists. I'm definitely looking forward to the next one in the saga. I highly recommend this book to others! You are very welcome! I hope you are working on the next one - I can't wait to find out what happens!